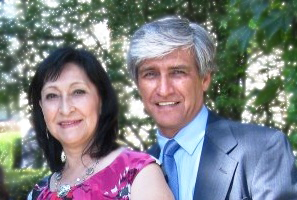 Wilson and Lina Herrera have been serving as missionaries in a foreign country for nearly 20 years. They serve many needs in this country, including focused support for young adults and pastors in a developing church context. This needy foreign country happens to be the United States, a place that they never expected to be called to. Wilson and Lina are native Colombians and prior to their U.S. calling, they both worked in higher education, Wilson as Psychologist and Lina as a Professor of Statistics. For 24 years, they served in the Colombian Christian Ministry for College students. This work provided them with the opportunity to disciple and train future leaders to work on campuses and in the church. As a part of their role, they encouraged student leaders to attend Theological Schools. While they shared in the blessings of their work and took great joy from their leadership roles, it became clear that like many of the leaders they had mentored, God was calling them to seminary as well. In their school search, they heard about Northern Seminary’s strong discipleship, supportive community, multicultural context, and overall mission to equip the church to change the world. Upon deeper reflection and research, they quickly discovered that Northern was the place for them. As a result, in 1996 Lina began the M.A. in Christian Ministry and Wilson started the M.Div. In their transition to the United States, Lina and Wilson moved into Lindner Tower with their 3 children and began a journey that has altered their lives forever. Supportive faculty and classmates poured into them in completely unexpected ways. The course work solidified their theological understanding, and the campus community provided the support they needed in order to survive in a new culture. As their education drew to a close, they were eager to continue serving. With open hearts and minds, they prayed about where they should go. To their surprise, and despite their plans to leave the U.S., they and the community around them felt God calling them to serve in the U.S. As a result, shortly before their graduation, the Evangelical Covenant Church contacted Wilson and Lina with a proposal for them to help with racial reconciliation and to write materials on discipleship. At the same time, God opened the door here in the states for them to continue their work with the International Fellowship of Evangelical Schools (IFES) a calling that is near to Lina’s heart. Today, Wilson serves as the National Director for Christian Formation for Hispanic Communities within the Covenant Church, and Lina serves as National Staff for Spiritual Formation and Prayer for Intervarsity USA. Together, they continue in their original work of preaching, training leaders, teaching seminars, organizing conferences, and speaking on God’s behalf. Wilson has written materials on discipleship, evangelism, and prayer for Latino churches, and trains church leaders to use these materials to lead others to grow in their relationship with Jesus and the expression of their faith. Lina trains Intervarsity staff on Spiritual Formation and in Prayer and provides spiritual direction. She has also served as the Urbana Mission Conference Prayer Coordinator, which is an Intervarsity Triennial Conference that gathers 16,000 students to commit themselves to Jesus and his mission. Wilson and Lina are extremely grateful for their Northern experience, and they praise God for opening the door to their education at Northern. They are living proof that God is actively moving in our world today, and their work continues to impact Christ’s Kingdom. We encourage you to pray for Wilson, Lina, and their family as they continue to serve. We also thank you for your continued support of Northern Seminary and its graduates.